Douala Grand Mall and Douala Business Park are a grade-A mixed use development by Actis with local partner Craft Development. The project is designed by London-based Benoy architects, a leading international firm with award-winning projects across the world. Occupying the most strategic site in Douala, the project is located in the immediate vicinity of the International Airport, with a catchment area of 4 million inhabitants and ready accessibility for all socio-economic groups. 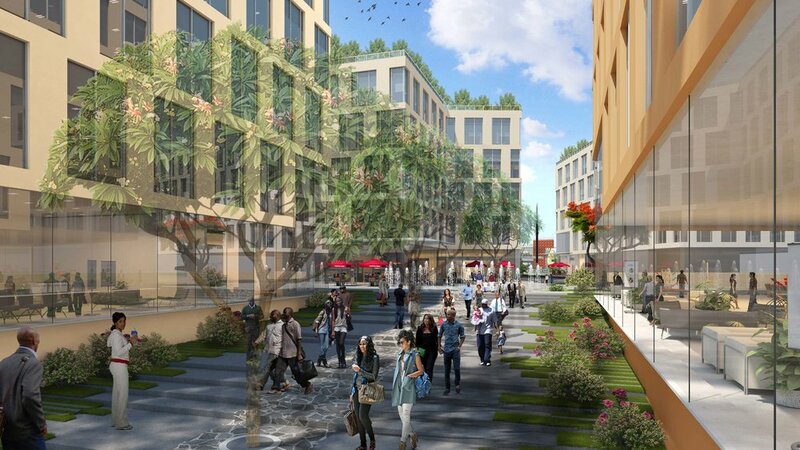 With an extensive offer in fashion, lifestyle, services, entertainment and dining, Douala Grand Mall will be the first destination shopping center in Cameroon. The Douala Grand Mall has a built floor area of 25,600 m², including 17,415 m² of lettable retail on two levels, with an extensive offer in fashion, lifestyle and services for all age groups including amazing family oriented activities. 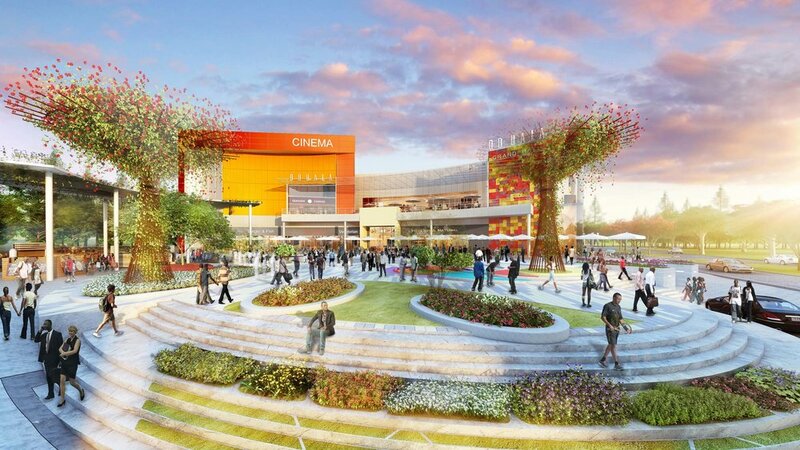 This is set to become the premier shopping destination in Cameroon. With a floor area of 40,000 m², 5 levels of office space, and 560 parking spaces, the five-building development features efficient floor plates with the highest standards in mechanical, electrical, plumbing, lighting and security systems. Operated by an international hotel operator. Actis is a leading investor across emerging markets, with over 70 years of experience focused on private equity, infrastructure and real estate. It has over USD 9bn of funds under management. Through its portfolio companies, Actis employs 130,000 people and has an impressive track record across Africa, having delivered a range of highly successful developments including: One Airport Square, Accra, awarded “Best Office Architecture Ghana” Award 2013 by IPA Africa, and Heritage Place, Lagos and Garden City, Nairobi, the first Green Star or LEED certified buildings in their respective markets. Craft Development is a fast-growing property development company based in Cameroon. Born out of the 25+ year experience of a construction engineer in real estate development and investment in Europe and Africa, the company offers local expertise wrapped in world-class international standards. Craft development targets high-quality, efficiently-designed, and environmentally-sustainable projects that deliver high value to clients, occupiers, and communities. Its vertically-integrated approach, combined with deep local knowledge, enables the company to successfully source and execute property development projects in the challenging Cameroonian market.